A check for $1,053 written to Dallas Heart Center at Cardinal Glennon, St. Louis, was presented to the family of Elizabeth Waldhoff in her memory. 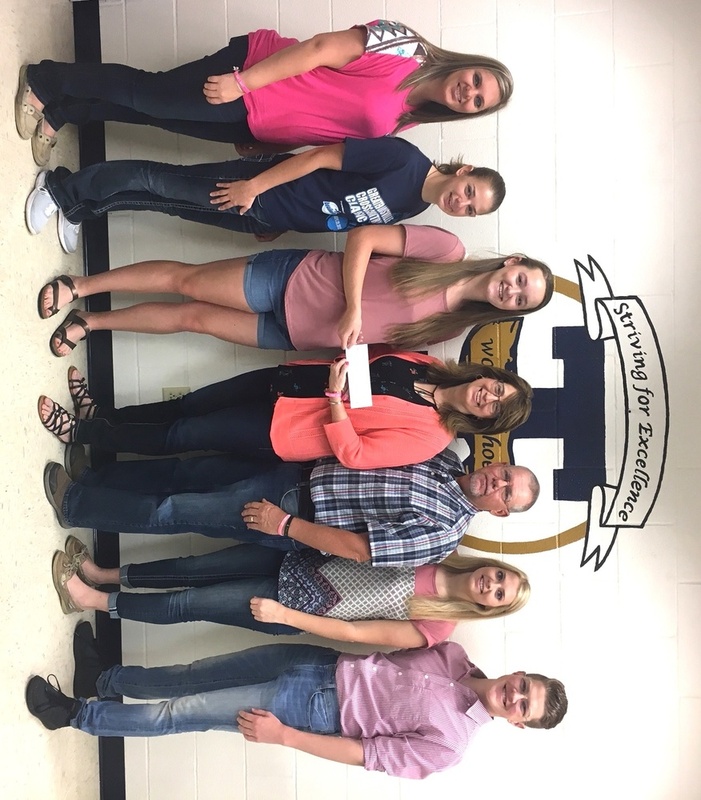 Presenting the check was Macy Vogt of Volunteens and Will Wortman of Student Council. Money was raised through Volunteen's Dress Sale and through a special school wide collection sponsored by Student Council.